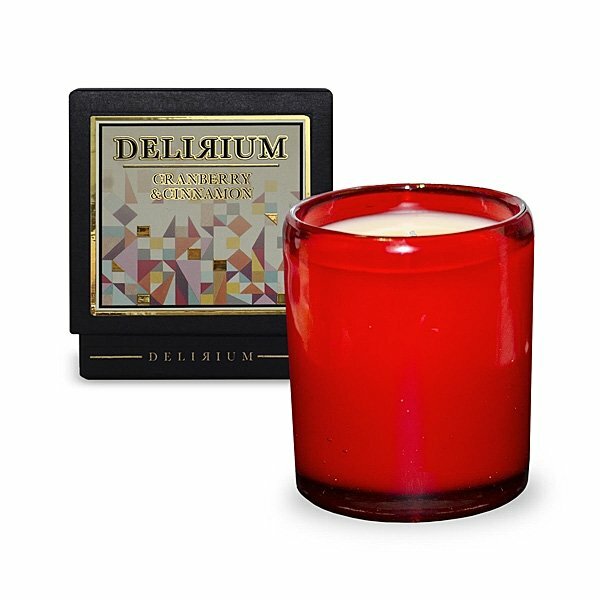 Delirium Cranberry & Cinnamon (formerly Celebrate) Candle is a festive frolicking revelry of cranberries, Italian blood-orange, cinnamon leaves, eucalyptus, moss and pine. A Holiday scent that can be burned all year long! SPECIAL LIMITED EDITION RED GLASS. NEW BIGGER SIZE AND LONGER BURN TIME!  Delirium Candles are hand-poured in Los Angeles, into oversized vessels of hand-blown Mexican glass, each with its own personality & natural "defects", which may be repurposed for various uses, including drinking. Delirium scents are meant to elicit a calculable (conscious and/or subconscious) response when experienced; possibly a state of uncontrolled excitement or emotion. Intoxicating, familiar, mysterious, arresting, unconventional, magnetic, hypnotic. Delirium.